Real Decision Makers. Real Opportunities. The Reverse Expo will allow medical equipment sales and service vendors who are registered exhibitors of MD Expo a unique opportunity to meet with 20+ Supply Chain, Procurement and Healthcare Technology Directors from America’s most prestigious hospitals, imaging centers and health systems. Meet with real decision makers, have one on one interaction, and network with these high level executives. We provide a unique and optimal environment to start the relationship at the Reverse Expo. 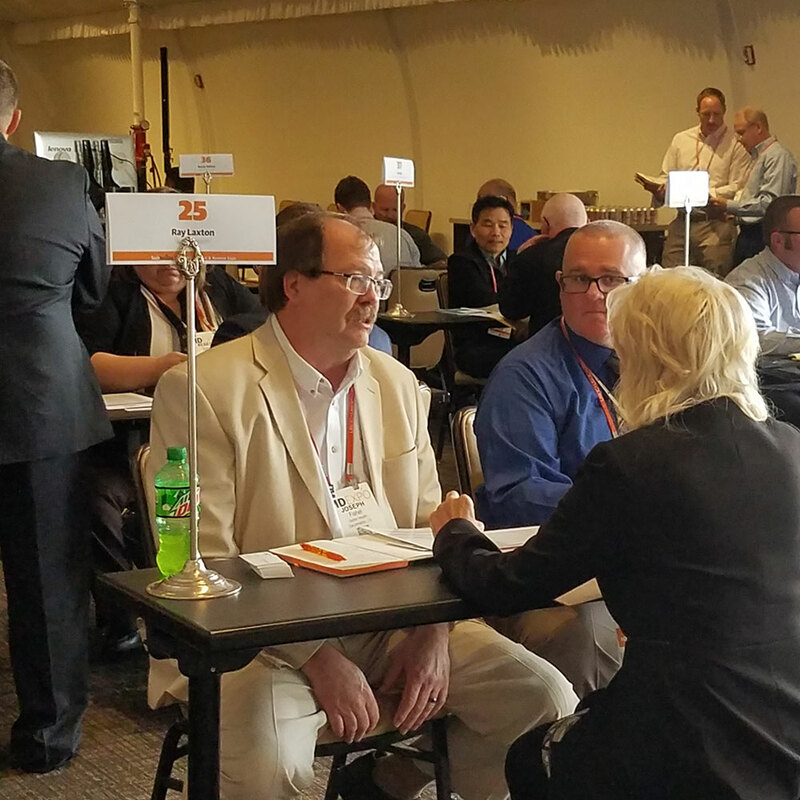 Then throughout MD Expo’s exhibit hall, networking events, classes and entertainment, build and establish a real rapport and bond with key decision makers. It’s the perfect recipe for maximizing your time and ROI! Limited to first 40 vendor attendees! Max two representatives per company. Must be a registered exhibitor with MD Expo to participate in the reverse expo.